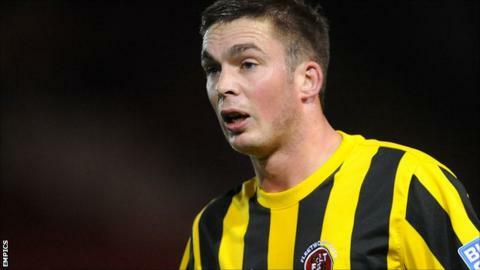 League leaders Grimsby were held to a goalless draw at Cambridge United. Andy Cook went close to giving the Mariners an early lead when he hit the crossbar before seeing his follow-up shot cleared off the line by Josh Coulson. Cambridge debutant Matthew Fletcher then saw a close-range shot blocked. After the break Grimsby substitute Richard Brodie fired against the woodwork and team-mate Marcus Marshall had an effort ruled out for offside. Grimsby now have a two-point advantage at the top, but second-place Wrexham have a game in hand. "We wanted and needed a response after the last game and I thought they responded really well. "The first half was a really good performance and the second half was more about the lack of match activity than anything else. Grimsby played on Tuesday - that gave them the edge. "We have had one game in three weeks. Whilst we've tried to work hard, there's just been a lack of activity on the pitch and it tells. "But in the main we had good organisation, good shape to the team and were a very good threat." "I think it is a much more improved performance - we forced their keeper into a fair few saves. "Coming to a team that has lost one in ten, that have been flying up the league, I think we have to put things into perspective sometimes. "I think all-in-all we defended well, a lot of the shots we had were from distance, and another clean sheet for us and while you're keeping those clean sheets you've got a bigger chance of winning the game."